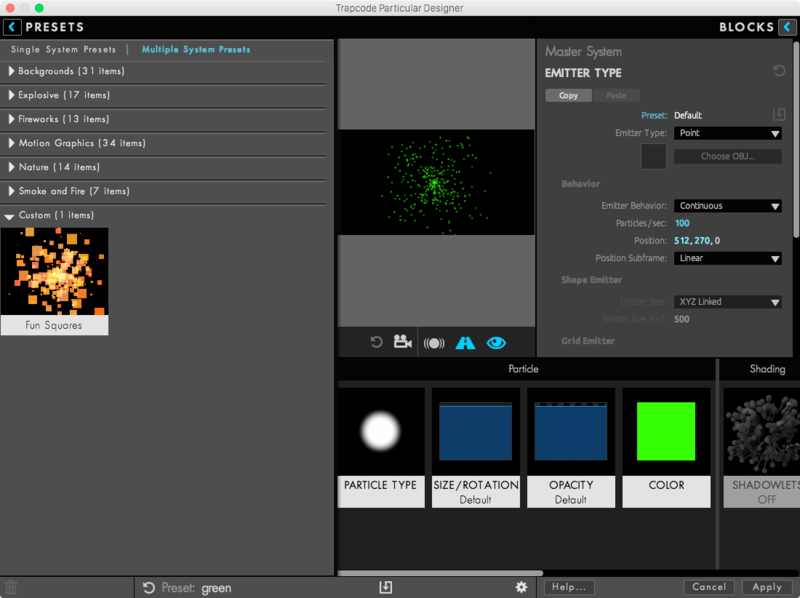 In this pane you will find effect presets sorted into categories. Most of the presets in this pane can be considered final effects and ready to use in After Effects. Just click the preset to load the preset, and hit ‘Apply’ to return to After Effects. The Designer is loaded with hundreds of new presets designed by Harry Frank that are ready for you to apply and use right away. The presets are represented by thumbnails. Selecting a thumbnail will apply the preset, show the effect animating in the Preview pane, and will display the building blocks used to create the effect in the Effect Chain at the bottom of the screen. The name of the preset will display at the bottom left corner of the Designer. Note that selecting an effect preset will completely replace any existing settings that you’ve previously created in the Designer, or in the Particular UI before opening the Designer. At the top of the Presets pane, you’ll see the two tabs of the Presets pane: Single System Presets and Multiple System Presets. These allow you to toggle between the presets you are viewing. 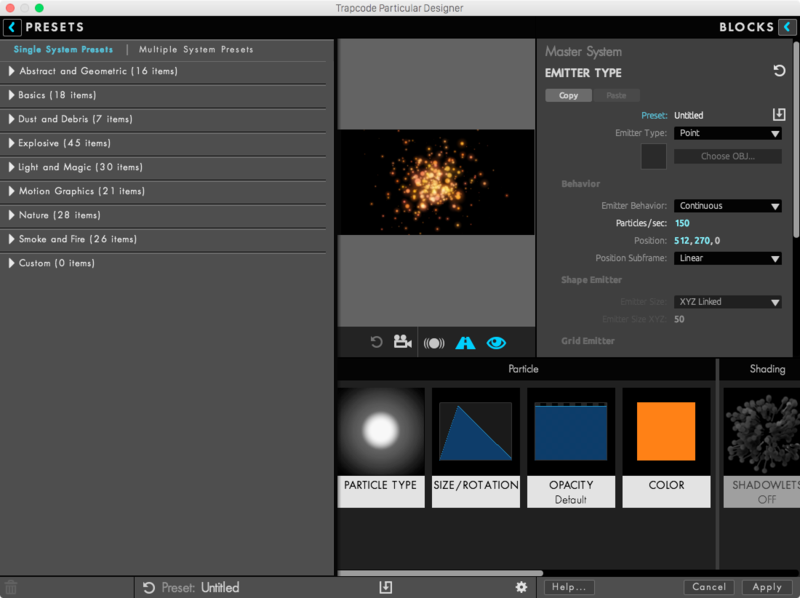 The Multiple System Presets tab features dozens of richly complex and professional particle systems that all use Multiple Systems. Note that these presets are organized into categories, and are completely distinct from the Single System Presets. You can collapse the categories of presets by clicking on their names, or even Shift+Click any of the names to expand or collapse them altogether. An alternative way to apply Single System presets is by Alt/Option+Clicking them to apply them as an additional system beneath your current system chain. With this method you can combine Multiple & Single System presets! Alt/Opt+Shift+Click to replace all Systems with a Single preset. 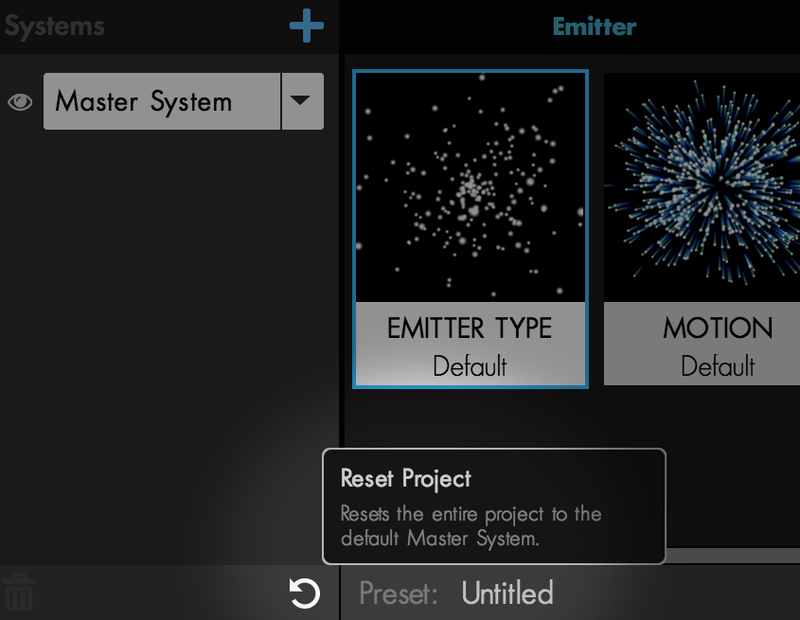 If you’d like to save a preset you've created, click the Save Multiple Systems button at the bottom of the Designer. A modal window will open and allow you to name your new Effect Preset for future use. Once you have saved your own effect preset, it will appear under the ‘Custom’ category located at the bottom of the Presets pane, either in the Single or Multiple System tab depending on how many Systems you have open. You can also return to the default settings at any time by clicking the Reset Project button at the bottom of the Designer. At this point you are free to start building your own effect using the blocks are by applying another preset. 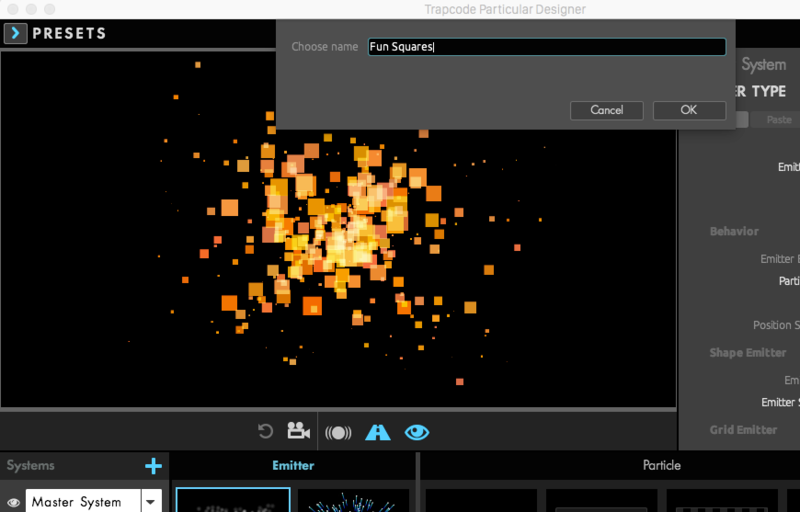 See the Blocks in the Designer and the Effects Chain in the Designer sections for more information on creating effects using blocks.